Councils across Scotland will be able to adjust their own business rates relief packages to reflect local needs under a new action plan unveiled by ministers. The move is among several new measures announced following a review of the current business rates tax system. The government said the overhaul would make the system more transparent and user-friendly. But small business leaders said they had hoped for "a bolder reform plan". 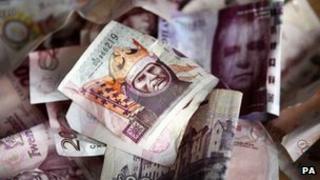 Overall, business rates relief will amount to £560m in the current financial year. Until now, the Scottish government has set the framework for all Scottish reliefs, leaving little scope for councils to vary the relief they offer locally. Local Government Minister Derek MacKay said: "As part of our commitment to local decision-making, we propose that Scotland's local authorities will be given the power to set local rates reliefs, allowing them to respond to the needs of their communities." Local authority umbrella body Cosla welcomed the announcement. Finance spokesman Kevin Keenan said: "Whilst we still need to see the actual detail of what the individual elements mean in practice, we particularly see the new powers to create local business rates relief as a positive step in empowering councils to respond to local business needs." The action plan announced on Wednesday includes a review of rates relief application processes to ensure they are "simple, transparent and streamlined". A wide-ranging review of the valuation appeal system will also take place over the next year, with a new appeals system in place before the next revaluation in 2017. Andy Willox, Scottish policy convener for the Federation of Small Businesses, said the new action plan suggested ministers understood that Scotland's property-based taxation system was "outdated, based on the economy of the past and under severe pressure". He added: "Yet their response to this challenge looks timid. "We're pleased the Small Business Bonus scheme will be retained and the appeals process will be examined before the next revaluation in 2017, but we're slightly disappointed a bolder reform plan hasn't been developed." "Councils in England have the powers to develop local reliefs but few have done so. "It remains to be seen if Scottish councils will act differently and look to boost their local economies and high streets." Scottish Chambers of Commerce gave a "guarded" welcome to the outcome of the business rates review. Chief executive Liz Cameron said: "We welcome the positive response that the Scottish government has made to our proposals for the reform of the business rates regime in Scotland. "It is clear that it has recognised some of the failings of the current system and we support the moves to try to address these before the next rating revaluation. "However, the government has missed the opportunity to deliver greater consistency and efficiency in the rating regime across Scotland by failing to back our call for a single valuation register for Scotland, prepared by a single Scottish Assessor, in turn accountable to the Scottish Parliament." She added: "We have an open mind on proposals to grant local authorities new powers to create new localised rates reliefs. "This is a sensible proposal and could help address particular local issues, but its success will take time to assess."